Home Goose Grass benefits Health benefits Herbal paragis tea How to make Paragis Tea? Health is our wealth, therefore we should take care of it. But because, medicines and hospital treatment are getting more expensive for this time, poor people could not afford to hospitalise theirselves and can't even buy medicines for their treatment that's why good health is difficult to maintain on this generation. However, in recent years and until now, people found out how plants can be an alternative treatment in curing the different illnesses of our body. One of this plant is the Paragis which is also known as goose grass, wild grass and dog's tail which is believed to be anti-inflammatory, a natural antihistamine, a natural diuretic, antidiabetic, an effective anti-oxidant and has cytotoxic properties. Though expert didn't yet proven the effectivity of paragis, many people have testified of it's miracle effect to them. But how then will we get all these nutrients and benefits from this wild grass?, the best and more effective way is to make tea out of it. The first procedure to do is to completely remove the roots of paragis from its body. After it, put the paragis grass in a pot with one liter of water. Put it on fire and boil for ten (10) minutes. After boiling, separate now the boiled tea from the grass. Immediately pour the decoction into a container to avoid spoilage and let it be cooled. You can consume the tea in the morning or before bed. 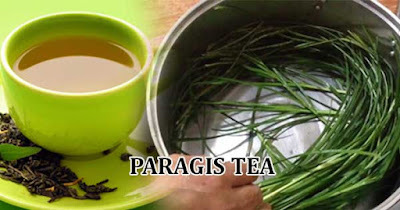 The paragis tea is known as healer of cancer, ovarian cyst, myoma, kidney problems, arthritis, muscle sprain, diabetes, wounds, parasitism, Urinary tract infection, dandruff, hair fall, dysentery, asthma, hemoptysis, bladder disorders, liver problems, jaundice, malaria, infertility in women, and epilepsy. Paragis plant has no history of toxic so you can try it without doubt and hesitation. If you want to save money from your medication and prevent illnesses that could break down your health, you may use this paragis tea to turn your life better.